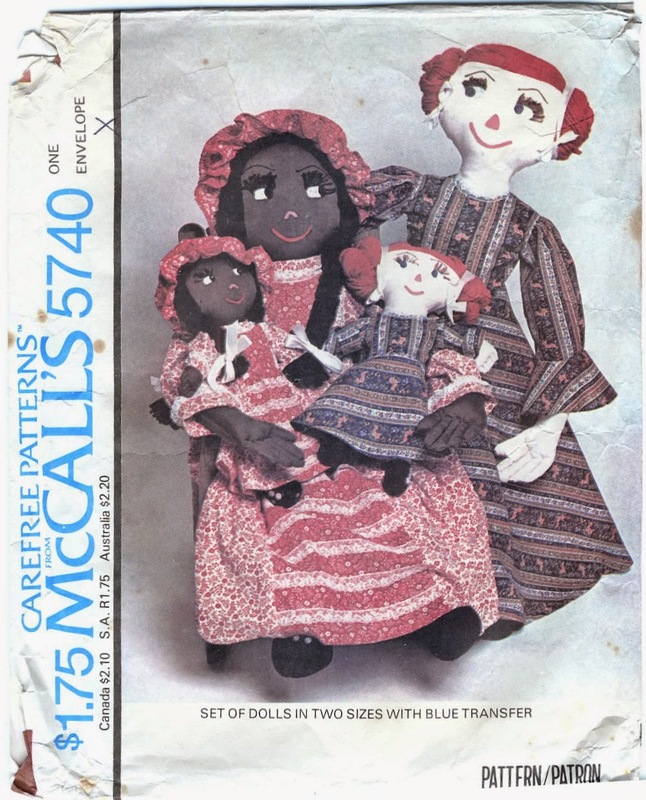 McCall's Pattern #5740 makes a simple 16" and 37.5" doll with variations of dress and hair. 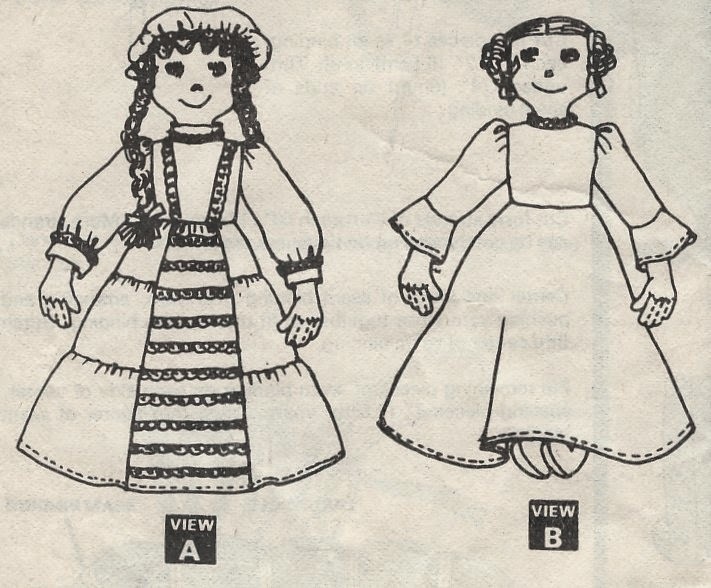 The doll's long dresses reflect the Americana style that was popular around the time of the U.S. Bicentennial. The large and small dolls are constructed in the same manner, in separated pancake style which goes together quickly. The dolls have appliqued felt eyes, noses and mouths. Their most distinguishing feature is their long stitched eyelashes. Their hair is made from rug yarn with a choice of two styles: long braids or Princess Leia-style buns on either side. Clear instructions are given for attaching the hair. Two styles of dresses are given. View A has a front skirt panel, collar and cuffs trimmed with lace. The rest of the skirt is gathered in tiers. View B has a plain flared skirt and cuffs. 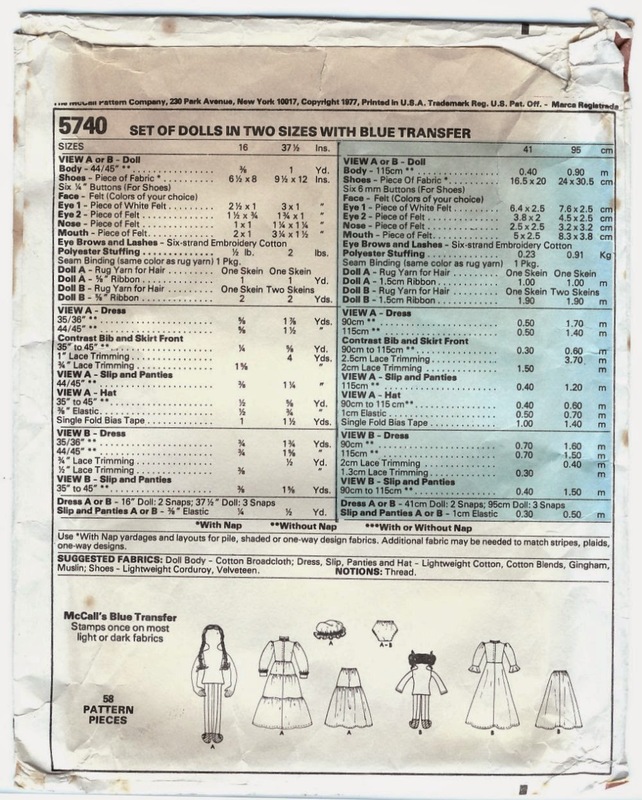 Slip and pantie patterns are included. 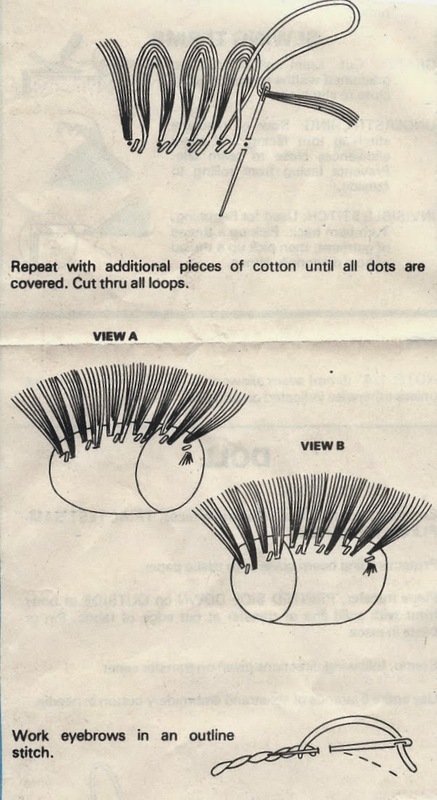 This is a simple but cute pattern. My only concern with making it is that no provision is made for reinforcing the doll's neck. The larger size in particular has a huge head that would certainly flop without any internal reinforcement. But an experience dollmaker should have no trouble adapting a method from another pattern or previous project.